On the evening of February 4, 2012, I was attending my niece’s fifth birthday party in New Jersey. After a successful night of watching five year olds tumble through various gym obstacles, my cell phone exploded with texts of “Yo are you watching this?” and “your boy is blowing up!” Frantically, I open my ESPN app and see that Jeremy Lin had 25 points in a close Knicks defeat of the New Jersey Nets. I had to blink twice and close and reopen the app to make sure I was reading this correctly. Could this be true? The player I’ve been following since college had finally gotten his chance and exploded for 25 points, 5 rebounds, and 7 assists? Prior to this day, I would gloat to all my friends if Jeremy collected 10 points in garbage time or had one nice move that would display his basketball ability (his crossover on Tayshaun Prince during garbage time of a Warriors-Pistons game comes to memory). Flabbergasted, I check MSG and see if they are replaying the game later that night and indeed they were at midnight. Back then, I could not justify paying for cable TV yet so I notified a neighbor that I would be invading her apartment and using her TV between the hours of 12-3am to watch what I have been waiting three years to see. These similarities, combined with my yearning to see Jeremy make it to the NBA propelled me to become the Jeremy Lin super fan that I am today. 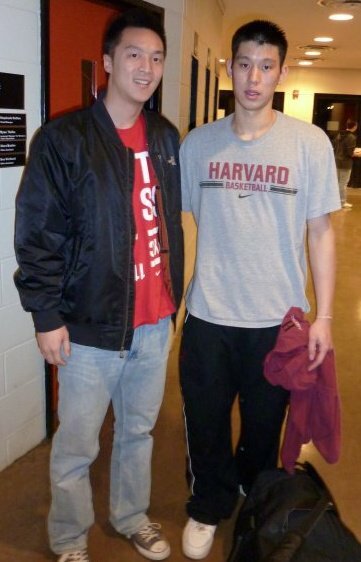 I remember the first time I trekked up to Columbia to attend a Harvard vs. Columbia basketball game during Jeremy’s senior year. There were barely any empty seats as many New York City Asian Americans flocked uptown to see what the hype about this kid from Harvard was all about. That night, Jeremy had a solid game of 14 points on 5-6 shooting in a nearly 30 point rout of the Columbia Lions. Though it was a blow out game, I distinctly remember thinking that Jeremy possessed high on court IQ and did not force anything, but at the same time was able to get good shots and set his teammates up with lucrative opportunities to score. A few months later, I traveled down to Princeton with my family to watch Jeremy play in Harvard’s last regular season game (and deciding factor of who would take 1st place in the Ivy league and accordingly a birth into the NCAA March Madness tournament) against Princeton. The outcome of this game was different as Harvard lost by 3 and Jeremy finished with only 8 points on 1-8 shooting, including a missed potential game-tying contested layup in crunch time. Many of the friends and family that I went to the game with lost hope in Jeremy’s NBA chances that night. I noticed that Jeremy deferred to his teammates a little too much this game and could’ve been more aggressive and/or realized that he was the one who had to take over and lead his team to victory. After the game, my sister, Carol, and I somehow ventured our way to outside of the Harvard locker room and caught Jeremy as he was coming out. After seeing that he was willing to take pictures with another group of fans that had the same intentions, I approached him (my sister was too star struck to move at this point) and said something along the lines of “Hey tough loss, you guys played hard man. I know you’ll make it to the NBA next year. We’ll be rooting for you. Can we get a picture please?” I also may or may not have slipped in a comment about being Facebook friends with him. Jeremy was clearly bummed about the loss and didn’t say much back other than “thanks, I appreciate it” but the outcome of that conversation were the 2 pictures below. Days to weeks after that game, I received a lot of doubt and criticism from my friends and coworkers who all tried to say that I had hyped him up for no reason and that he was never going to make it to the NBA. Especially when Harvard got blown out by Appalachian State the following game in the first round of the CIT tournament, Jeremy’s future seemed bleak. Fast forward a few months and it is now summertime in July of 2010 and Jeremy Lin somehow secured a spot on the roster of the Dallas Mavericks summer league team. I’ll admit I had missed all of his previous summer league games but made sure to tune into his match up against the Washington Wizards, with highly heralded number one draft pick, John Wall. In my wildest fantasies, I was imagining Jeremy Lin somehow getting subbed into the game, matching up with Wall and outplaying him, showing everyone that he should’ve been given a look in the draft. Little did I know, my fantasies would come true that night. Due to an injury from starter Roddy Beaubois, Lin was able to enter the game and maximized his playing time by out playing Wall and even got the crowd to cheer against the number 1 draft pick by the end of the game. Lin finished with an efficient 13 points on 6-12 shooting in 28 minutes of playing time and also forced Wall to throw up a couple of bricks from his stifling defense. Because of this performance, Lin received offers from multiple NBA teams and as you may know, he signed a partially guaranteed 2 year deal with the Golden State Warriors later that month. Flashback to Feb 4th, 2012, I am sitting in the pitch dark of my neighbor’s apartment while she was sleeping, watching the TV at low volume and waiting for the replay of the Knicks vs Nets game to start. I helped myself to a bottle of Merlot and some of her junk food and before I know it, I’m ¾ of a bottle of wine deep and it’s the 4th quarter and Lin is just having his way with Deron Williams and the Nets. I remember being so happy at that moment that I was taking pictures of the TV with my phone so that I would never forget that moment. That night, I slept with a smile on my face and to this day, I am grinning just as hard re-watching and re-living that fateful game. It amazes me to see how bi-polar New Yorkers can be, especially when it comes to sports. To his credit, Mitch Lawrence has been hating on Lin even during his short-lived tenure as a Knick, but there really was no reason to take this cheap shot at a kid who doesn’t even play for a team that you cover. I mean, I expected this from Mitch Lawrence but Tyson too? Jeremy had an abysmal game Sun night against the Spurs (1-10 FG, 1 ast. in 25 min), which was reminiscent of his game last year against Miami, but these games are going to be expected coming from someone who has only started 20 some odd games in the NBA. Luckily, one of these games was during the preseason. Call it growing pains if you will. 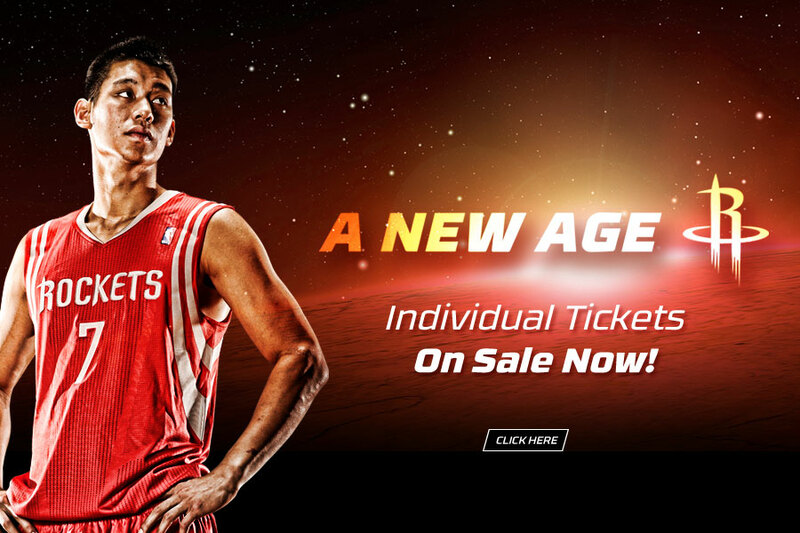 Nonetheless, I am very excited for what this season has to bring for Lin as the face of the Houston Rockets franchise. If you haven’t already, order your NBA League Pass while it’s still in its introductory pricing so you don’t miss a game! If that picture doesn’t get you excited for the upcoming season, here’s a video of legendary coach Mike Fratello explaining how Jeremy effectively utilizes the P&R. If Jeremy Lin and Omer Asik both sign with the Rockets, Houston will have one of the youngest rosters in recent memory. Clearly they will be threats to unseat Kentucky in next year’s Final Four. JET CHANG NBA (SUMMER LEAGUE) DEBUT TONIGHT! 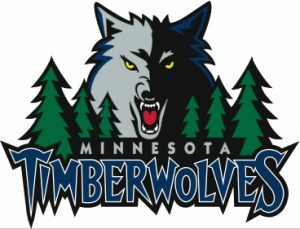 Back in May, I wished for Jet Chang to get an invite to this year’s NBA Summer League to see what he’s made of and lo and behold, the Minnesota Timberwolves invited him to play for them. I mean, is that really a surprise? Hooponomics.com is blowing up right now, as we are the 7th website that comes up on Google when you search for “Jet Chang.” Looks like someone in Minnesota did their research! You’re welcome. All jokes aside, below is the TV schedule for the Timberwolves on NBAtv. Try and catch a game because you never know what can happen in this league where everyone is desperately fighting for a coveted spot on an NBA roster. Last time I tuned into NBA Summer League on NBAtv, a no-name Taiwanese kid from Harvard got some playing time because Roddy Beaubois sprained his ankle and ended up showing up the #1 Draft Pick, John Wall. The Rockets changed their “poison pill” offer to Jeremy Lin to make it more difficult for the Knicks to match. Now the contract calls for Lin to make nearly $15mm in year three of his contract. If the Knicks match, they will have four players making a combined $77mm in the 2014-2015 season. Can the Knicks afford that? Based on summer league so far, Jared Sullinger is the second-best offensive post player the Celtics have had since Al Jefferson (only Shaq was better than Sully; KG is a different kind of player). I love this sign-and-trade for the Hornets, who will have the league’s most improved player at a reasonable cost. Ayon impressed in his first year in the league, but Anderson is a much better bet. The 23-yr old Anderson will join Anthony Davis to give the Hornets one of the best young nucleus in the league. They should let Eric Gordon join the Suns, because he does not deserve a max contract. I was so relieved to hear Philadelphia got Nick Young because it means Boston wouldn’t (and we were inexplicably rumored to have interest). If we can parlay Ray Allen into a s&t for Iggy, even if that means he goes to Miami or elsewhere in a three way, that would be GOLDEN. KG, Bass, Iggy, Pierce, Rondo? Jet off the bench? Hopefully Stiemsma and Sully with some minutes? Oh I’d like that. Jeremy Lin might leave the Knicks for the Rockets (4-yr, $30mm). Goran Dragic left the Rockets for the Suns (4-yr, $34mm). Steve Nash was traded from the Suns to the Lakers (3-yr, $27mm). Now if Ramon Sessions leaves the Lakers for the Knicks, then we will have made a full circle! How do these point guards compare using advanced metrics? Nash is the best of these point guards now, but could age rapidly. I think his contract (3-yr, $27mm) is fair, so Phoenix did well to obtain four draft picks for him. Dragic seems slightly overpriced at 4-yr, $34mm. I would rather have Jeremy Lin, especially since he pays for himself in terms of merchandising and advertisements. Sessions could be a bargain pick up for a patient buyer. I love this trade for the Hawks. The Nets get the better player, but Johnson’s contract is one of the worst in the game. Johnson is projected to generate 26 WARP over the next four years, which means that a fair contract would be 4-yrs, $45mm. Trading Johnson to the Nets gets rid of over $40mm of negative surplus value for the Hawks. Time to short the Nets! davidliu86 on LIN TO HOUSTON? davidliu86 on JET CHANG NBA (SUMMER LEAGUE) DEBUT TONIGHT! David Kim on JET CHANG NBA (SUMMER LEAGUE) DEBUT TONIGHT!